Phaidon publishes Brae, the first work by internationally renowned Australian Chef Dan Hunter, in May. 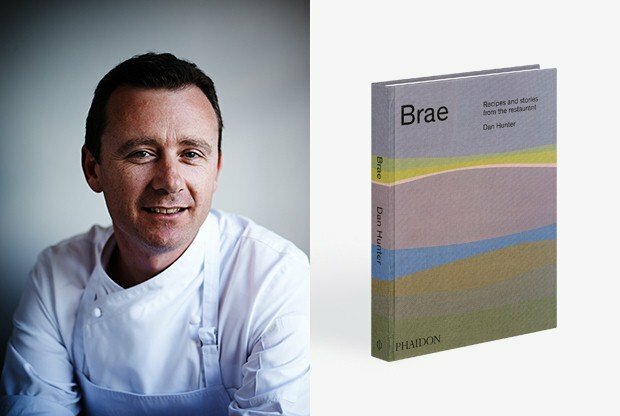 During his unprecedented visit to France for the launch of his book, Brae, the Australian gastronomy prodigy will give a unique conference on the hyper-local and organic cuisine he develops in his restaurant and on his land, Brae. Brae is the first book by Dan Hunter, dedicated to his internationally renowned restaurant which has just entered the ranks of the World’s 50 Best Restaurants, in 44th place. The work explores the cuisine developed by Dan Hunter through texts, recipes and breathtaking photos which perfectly reflect the philosophy of the Chef and his outstanding commitment. Dan Hunter’s cuisine is closely linked to his environment, in his belief that local produce, handled with respect, can produce gastronomy which is surprisingly creative. The principle of a family run business, surrounded by a small amount of land, which serves the food it produces in a warm and inventive manner, perfectly sums up the Brae philosophy. Each chapter explores a fundamental element of the restaurant which works like a veritable ecosystem: from the external bread oven, to the organic vegetable garden and a description of the local ingredients used in Dan Hunter’s cuisine. Against the backdrop of 150 photos of stunning Australian landscapes, sumptuous dishes and the kitchen brigade at work, the publication will, without a doubt, become a key source of inspiration for all Chefs and those who are passionate about cuisine. Brae embodies the vision of its Chef and owner, Dan Hunter. His career began in Melbourne, Australia, where he trained at the Oyster Bar (1999-2000), at Langton's (2000-2002) and at Verge (2002-2003). His passion led him around the globe and to the kitchens of some of the most renowned restaurants in the world, a journey whose pinnacle was a four year period in Spain, including a period as cuisine Chef for the famous Andoni Aduriz, in his restaurant, Mugaritz (2005-2007). Upon his return to Australia, Dan Hunter was in charge of the cuisine of the Royal Mail Hotel in Dunkeld (2007-2013) where he developed his first organic cuisine programme. His achievements included being awarded the prize for Best Regional Restaurant by the Australian Gourmet Traveller Magazine, for four years running, and being voted Restaurant of the Year in 2011 by The Age Good Food Guide. In December 2013, Dan Hunter opened his first restaurant, Brae. Le Cordon Bleu Paris is honoured to welcome Dan Hunter for a presentation of his new book Brae on May 29 at 6:45pm. Possibility to pre-book a copy of the work which will be signed by Dan Hunter at the end of the conference.